The Caretta caretta T.Fortuna was recovered on March 13th by Antonella Roncolini, Simone Fineschi, Roberta Zandomeleghi and Andrea Lionti. This is a very young specimen of Caretta caretta, 28.5 cm long and weighing 2.5 kg. T. Fortuna was found stranded in Ansedonia, after being at the mercy of the recent storms. The conditions at the time of recovery were decidedly critical: very little reaction to stimuli, very low temperature, for which a therapy was immediately undertaken to overcome the shock. 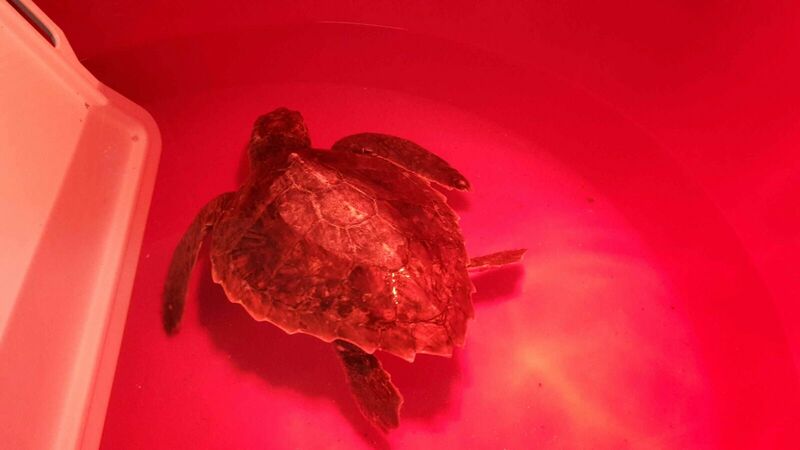 The turtle has been kept warm and rehydrated and little by little the vital parameters have improved. After four days, she was placed in a heated pool with little water, where she also showed interest in food and then went to eat some fish in the evening. Once the animal has stabilized, it will be possible to continue with the analyzes to complete the picture on the health of the little turtle. For the moment he has made great progress so we are optimistic about his recovery.